Figures of animals, which are often found in pairs, are especially common among early Japanese export porcelain. Lions in Japan are often found as guardian figures, but this symbolism is unlikely to have been known in the West. The use of bright enamel colours on a fine white body is characteristic of the so-called Kakiemon style. The family of decorators who worked in the Kakiemon kiln are reputed to have introduced the techniques of overglaze enamelling to Arita in the 1640s. 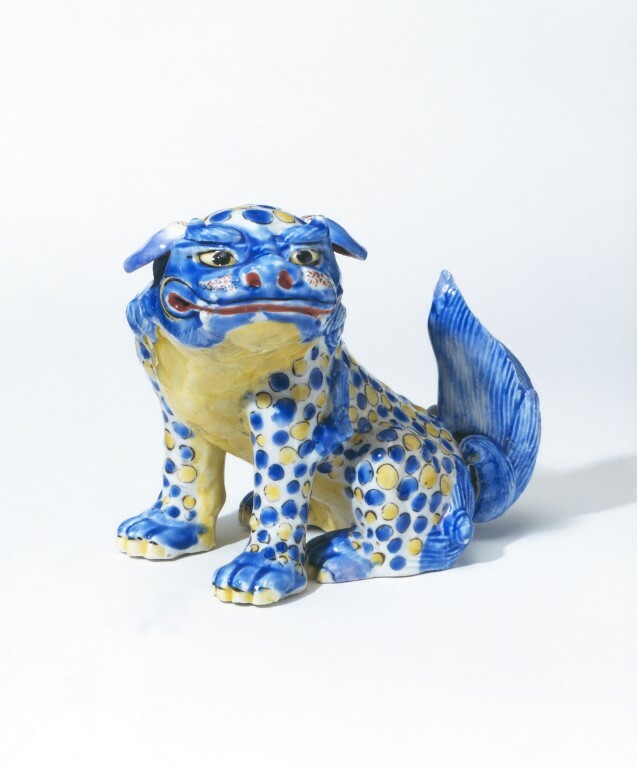 Kakiemon-style wares were the costliest and most sought after of all Japanese export ceramics. They were widely copied by 18th-century European manufacturers. Kakiemon-style wares were transported by sea from Imari, the port nearest to Arita in western Japan. Porcelain for export was sent to Deshima, a small island in Nagasaki harbour, for shipment abroad by Dutch and Chinese merchants. From 1639 until the mid-1850s merchants of the Dutch East India Company were the only Europeans permitted to conduct trade in Japan. This was due to the Japanese government's seclusion policy, which was enforced in this period. 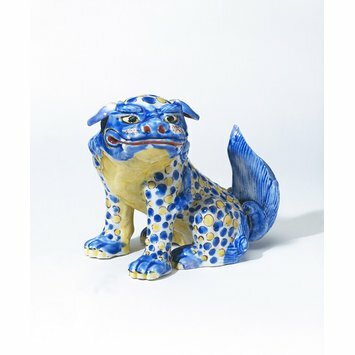 Hard-paste porcelain comparable in quality to Chinese and Japanese imports was first made at Meissen in Germany in the early years of the 18th century. Porcelain was made in Britain from the late 1740s onwards.